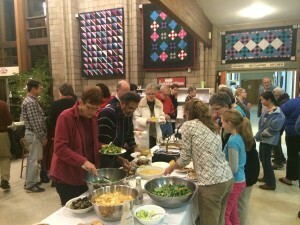 Soulful Supper has become a fixture in the lives of many families at UUSGS. The idea evolved out of a simple realization: cooking and eating together is fun. It feels good. Suppers are intentionally intergenerational at a time when conversation across generations can be hard to find. 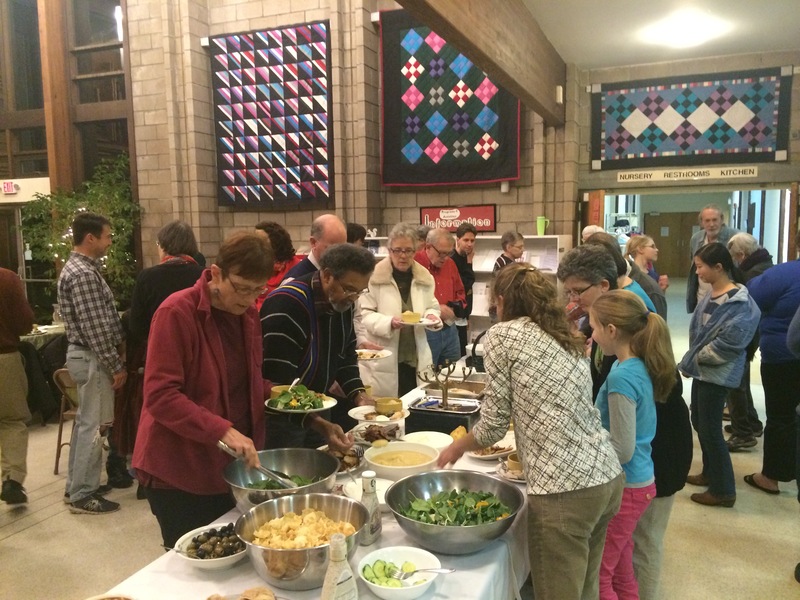 Soulful Supper is a community meal where all are welcome. Donations are accepted to cover the cost of ingredients, but no one is ever turned away. Truly, all are welcome. Please contact Jackie Shanti, Coordinator of Congregational Life, with any questions… about what to expect, how to attend (just show up! ), or how to get connected with a cook team.